Unlocking Apple iPhone 3GS - How to unlock this phone? How to unlock Apple phone? 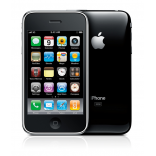 Apple iPhone 3GS Confirm your model below and, the country of the current operator, this will allow us to present you with a choice of prices and deadlines, among the most reliable unlocking solutions. Rating: 4.9 / 5 on 246 reviews. To unlock your phone , simply update the iPhone from your iTunes app. This operation, very easy to perform, allows you to use your smartphone (or tablet) with all SIM cards. At the same time, you will enjoy an added value, when eventually you want to sell your Apple. Our intervention is to change the "blocked" status of your iPhone 3GS. Unlock Apple iPhone 3GS without moving. You have no handling to do this update iTunes, once our mail received. The whole operation is managed online, and you do not need any technical knowledge, the unlocking is definitive and 100% risk free!